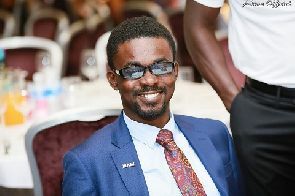 The CEO of Menzgold Ghana Limited, Nana Appiah Mensah, has revealed that the impasse between his firm and the Securities and Exchange Commission (SEC) of Ghana, has stalled plans of listing on the Toronto Stock Exchange (TSX). Menzgold and SEC are currently in a legal tussle over the legitimacy of the gold-trading firm’s investment product which promises mouthwatering returns. Menzgold was forced to shut down in September this year after SEC and the Bank of Ghana (BoG) raised concerns about its unlicensed operations. 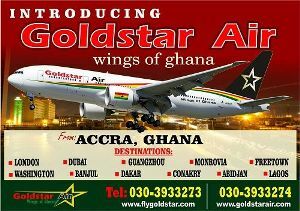 According to NAM1, but for the impasse, Menzgold “should have supplied two tonnes of gold by the end of 2018 to some strategic contacts in Switzerland, and by virtue of that, we then get a deal with a Swiss bank, that is the Union Bank of Switzerland, and then we would also get onto the London Bullion Market Association (LBMA) and then from there we will list on the Canadian Stock Exchange or the Toronto Stock Exchange and then gotten bigger”. Mr Appiah Mensah told his own radio station Zylofon102.1FM on Monday, 5 November 2018 that the recent issues with SEC and the Bank of Ghana (BoG) will strengthen the firm. He pleaded with the regulatory agencies to settle disputes with the firm amicably. He also pleaded with the customers of the firm to exercise patience as the company makes frantic efforts to pay their capital. In his view, “Menzgold will have a great rebound and it will improve and get better than what has been witnessed in the past five years. We have established our international structures and everything is about to take off”. Meanwhile, Menzgold has noted that it will start paying 15 per cent of its clients’ principal capital to them starting from Friday, 9 November 2018. Menzgold, in a statement signed by its acting Head of Communication, Nii Amarh Amarteifio, on Sunday, 4 November 2018, said the firm is also migrating clients onto a new online platform that would keep the gold trading business actively in session to forestall payment impediments in the future. Previous Mahama to pick Zanetor Rawlings as running mate in 2020?